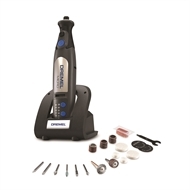 The Dremel Micro cordless rotary tool offers the perfect combination of size, ergonomics and power for both precise and light duty-DIY tasks. Designed to be held between the thumb and forefinger, like a pencil, the Dremel Micro allows a grip that is close to the work piece for superior control. To illuminate projects, Dremel Micro cordless rotary tools feature LED lights that have been built uniquely into the nose cap. 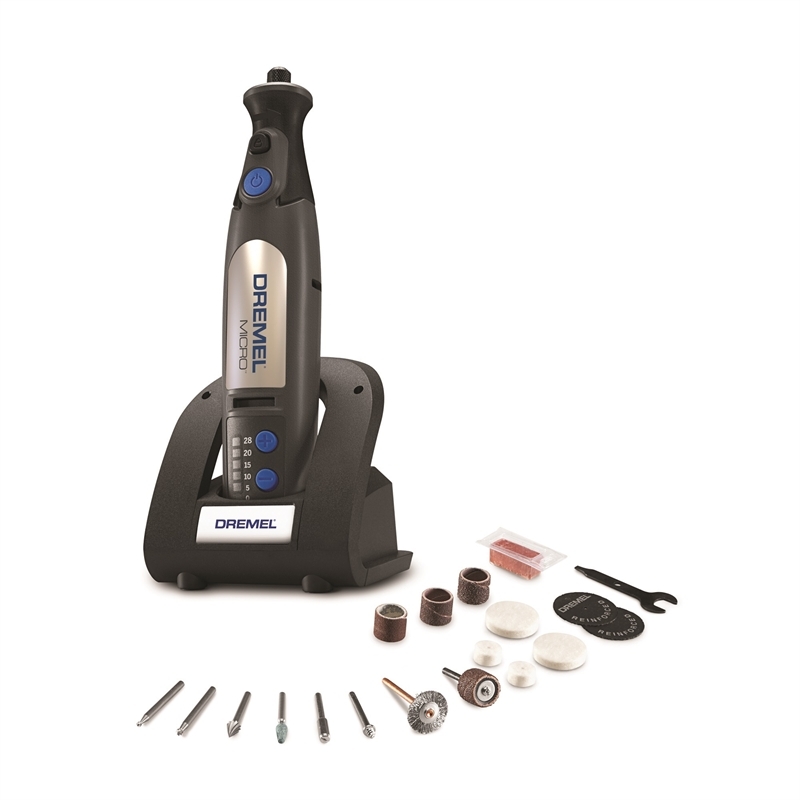 The Dremel Micro comes with a docking station and 18 accessories.